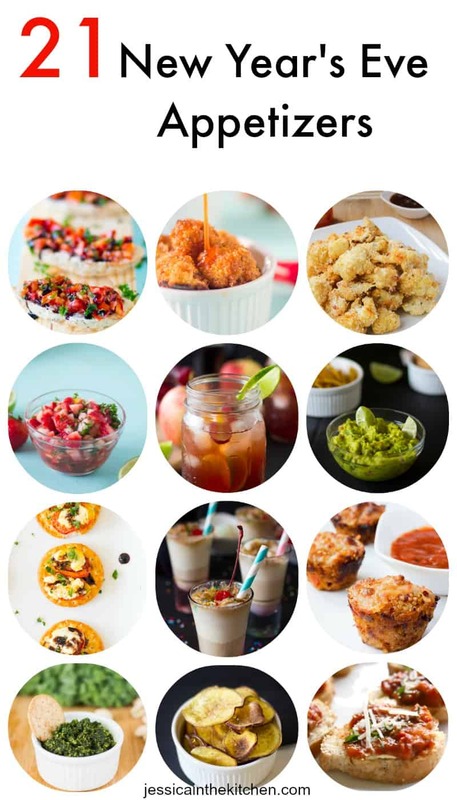 21 New Year’s Eve Appetizers including drinks and dips to help you ring in the New Year! I hope your Christmas was amazing – mine definitely was! 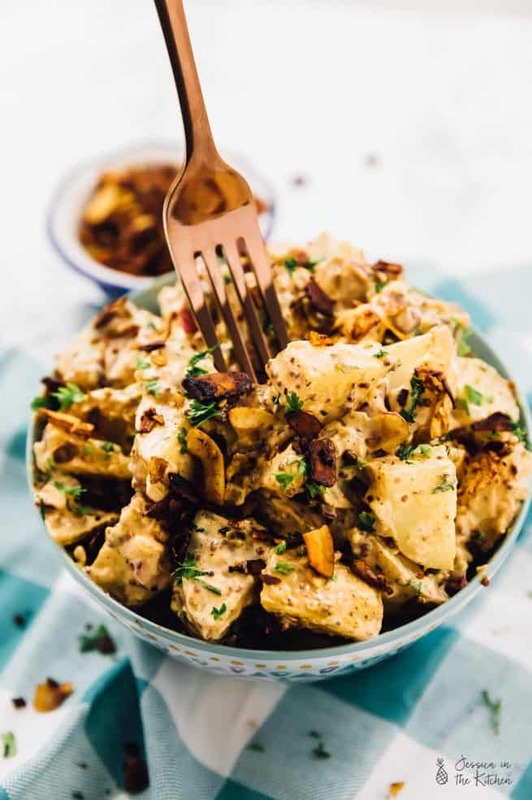 The New Year is approaching so quickly and if you’re planning to threw a New Year’s Eve party or get together these appetisers will definitely help you to ring in the new year in a tasty way. I’ve got all sorts of chips, dips and drinks to share with you that are all quick and easy to make and most under 30 minutes. I’m a huge Sangria and bruschetta fan so I’ll definitely be looking into those. Here’s to 2015! 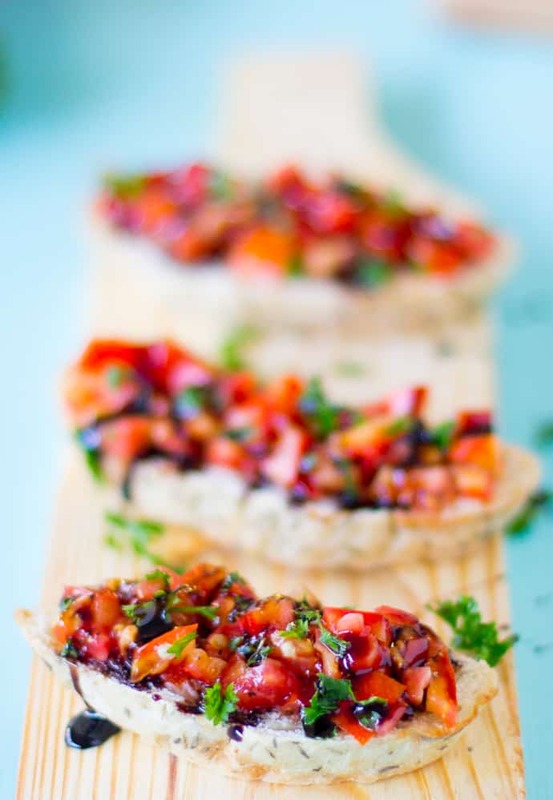 Classic Bruschetta with Balsamic Glaze – Loaded with fresh, juicy tomatoes, this classic Bruschetta with Balsamic Glaze is the perfect finger food appetizer. 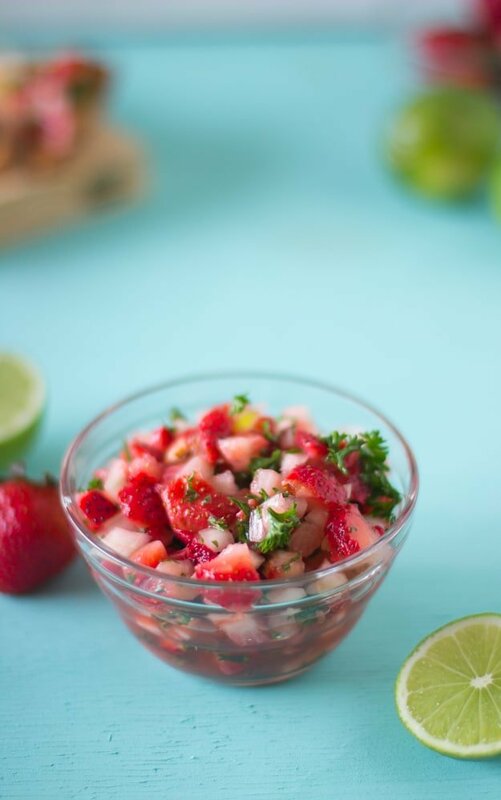 Strawberry Salsa – This easy and addictive strawberry salsa comes together in less than ten minutes, and is about to become your new favourite salsa! 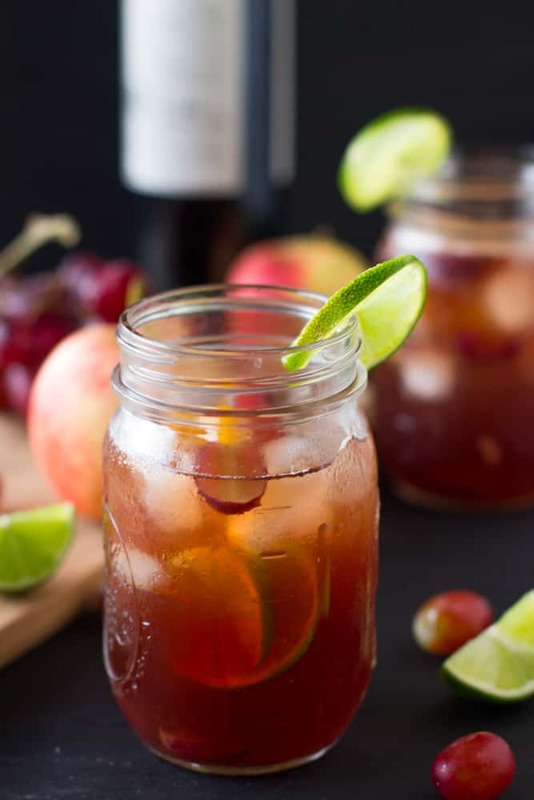 Rose Sangria – Sweet with a touch a bubbly thanks to the sparkling wine, this Sangria takes ten minutes to prepare. 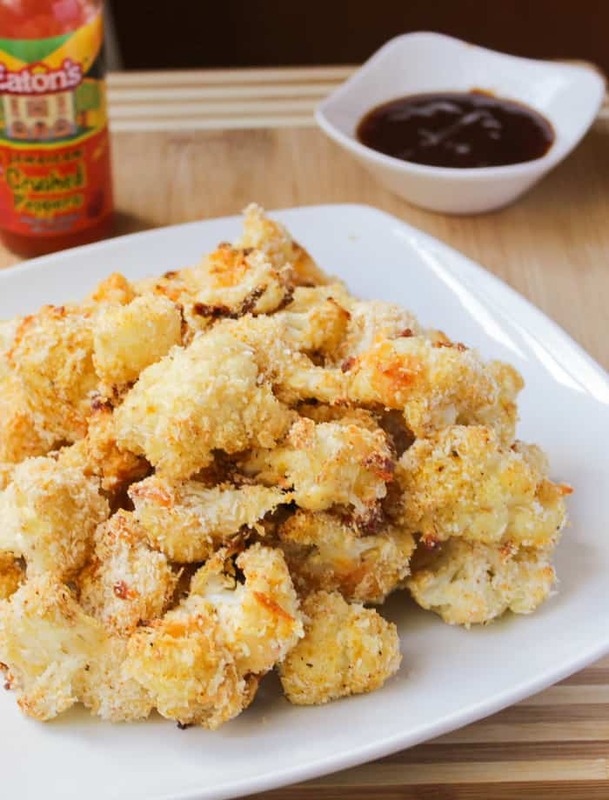 Cauliflower Bites in Honey Sriracha Sauce – These Cauliflower Bites are crispy, crunchy and tasty snacks dipped in a sweet and spicy honey sriracha sauce. Whipped Feta Dip with Garlic Pita Chips – This whipped feta dip is so creamy, tasty and has a delicious hint of spice! 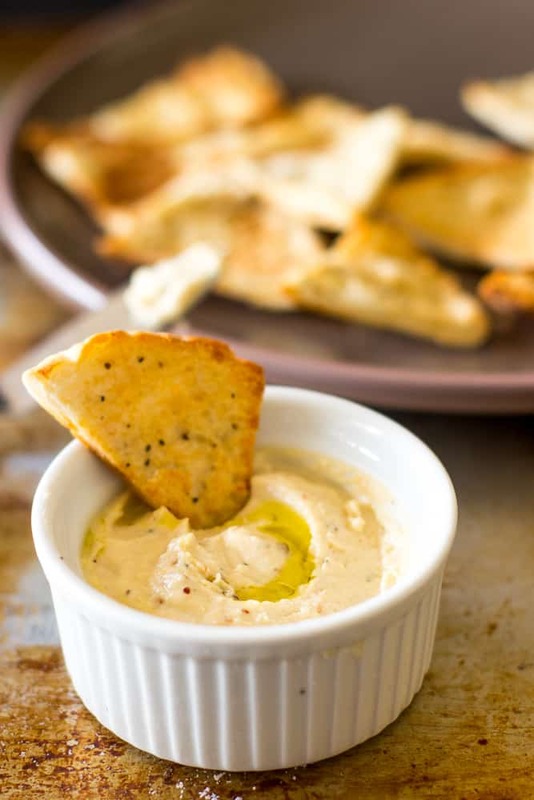 Top it off with garlic pita chips and you’ve got a perfect party snack! 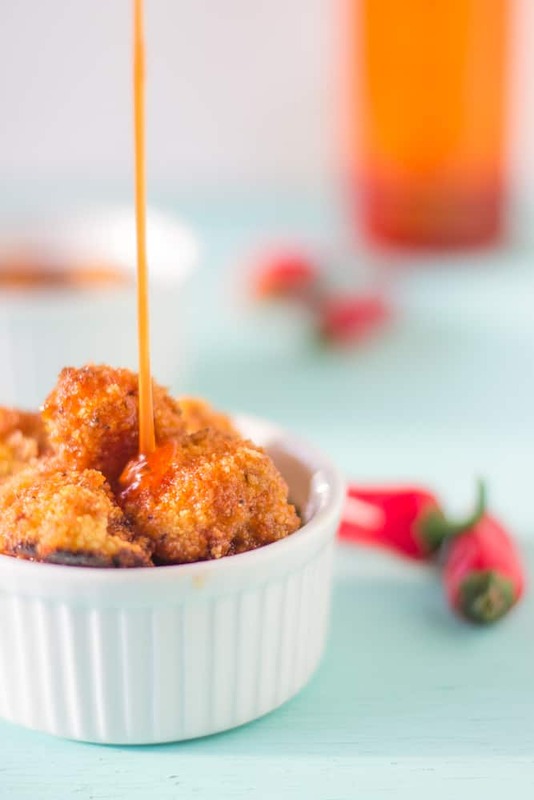 Cheesy Buffalo Cauliflower Wings – I could not stop eating these Cheesy Buffalo Cauliflower Wings, they are crispy, filled with flavour and spicy! 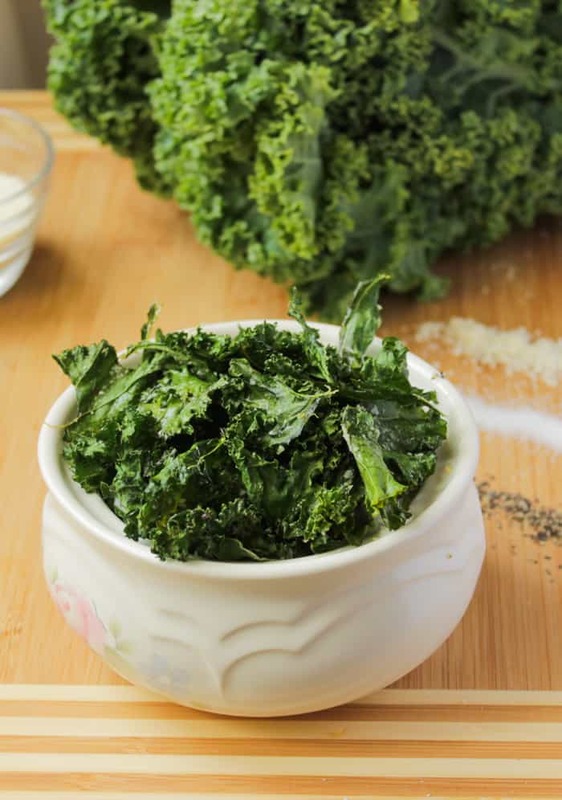 Kale Chips – Kale Chips are a revolutionary snack, crispy and filled with the delicious salty flavour of potato chips but are so healthy for you and packed with nutrients! 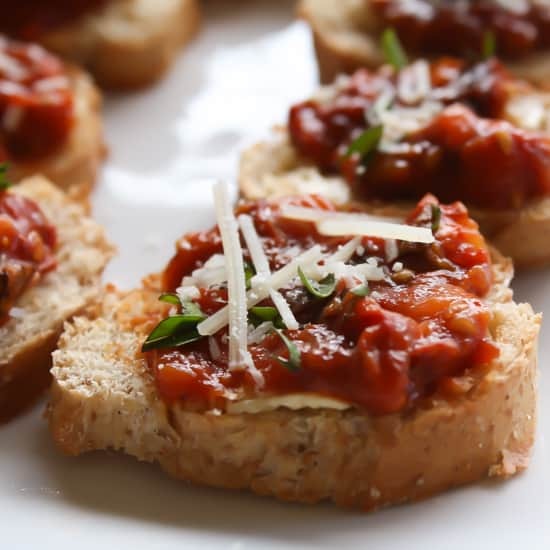 Sun dried Tomatoes Bruschetta – A tangy and delicious appetizer on a crunchy bruschetta makes for delicious finger food. 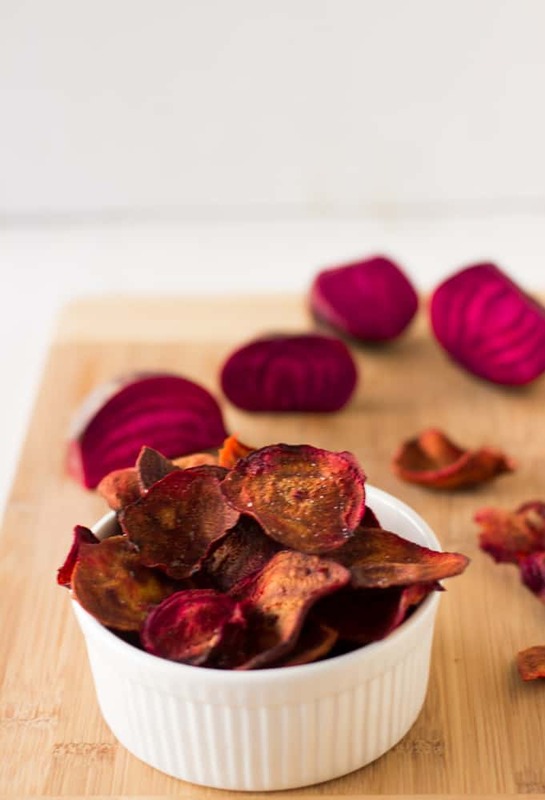 Beet Chips – Beet Chips are a bright, colourful and and sweet and salty crunchy snack! My entire family loved it! 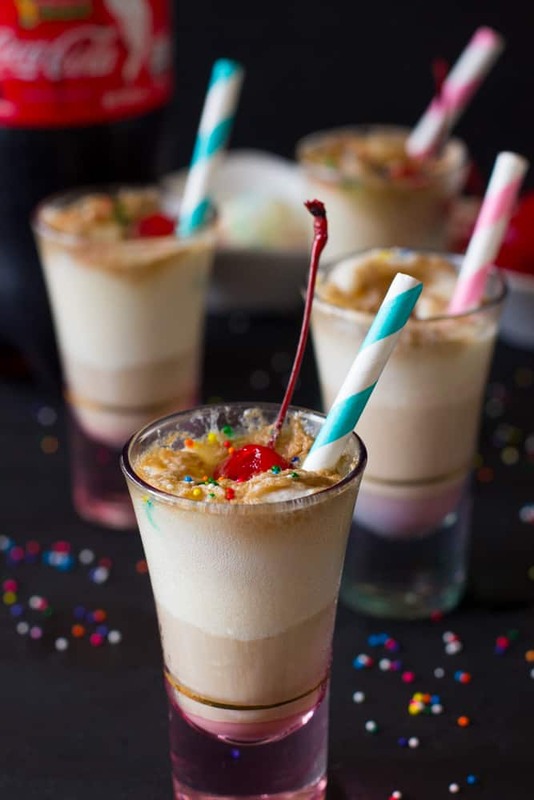 Vanilla Coke Float Shooters – These float shooters are filled with delicious ice cream and fizzy soda. 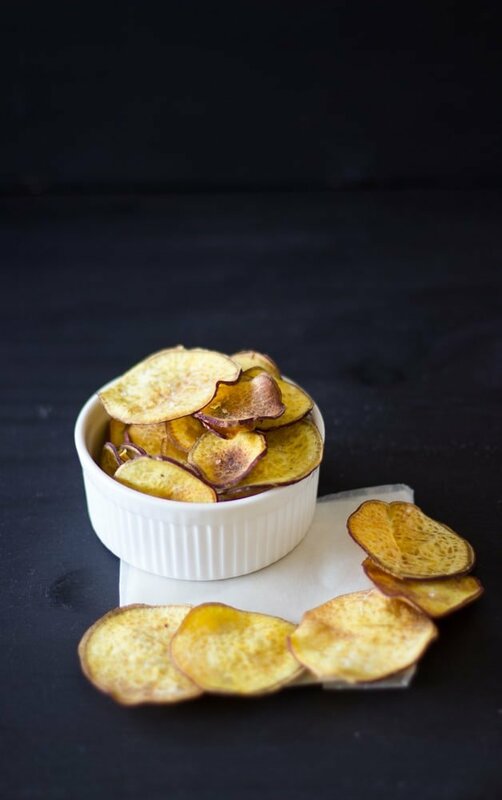 Sweet Potato Chips – These chips are crispy, topped with sea salt and are deliciously crunchy. 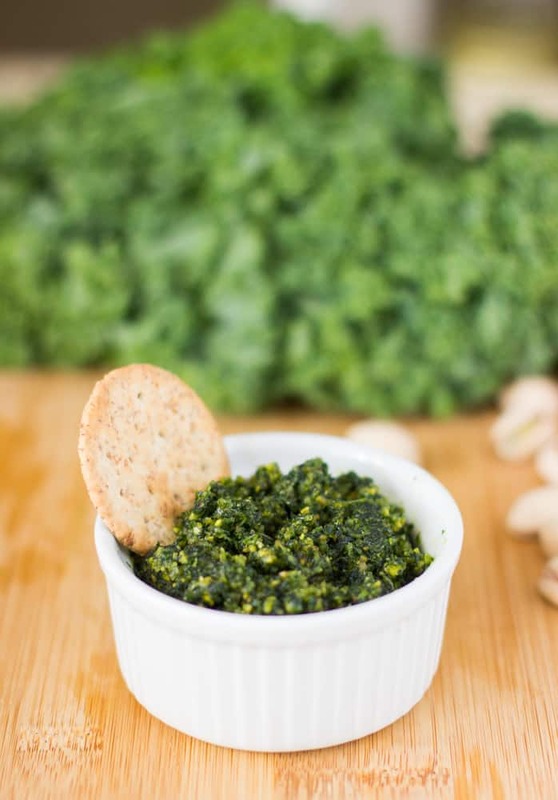 Kale and Pistachio Pesto – The best pesto I’ve ever had. 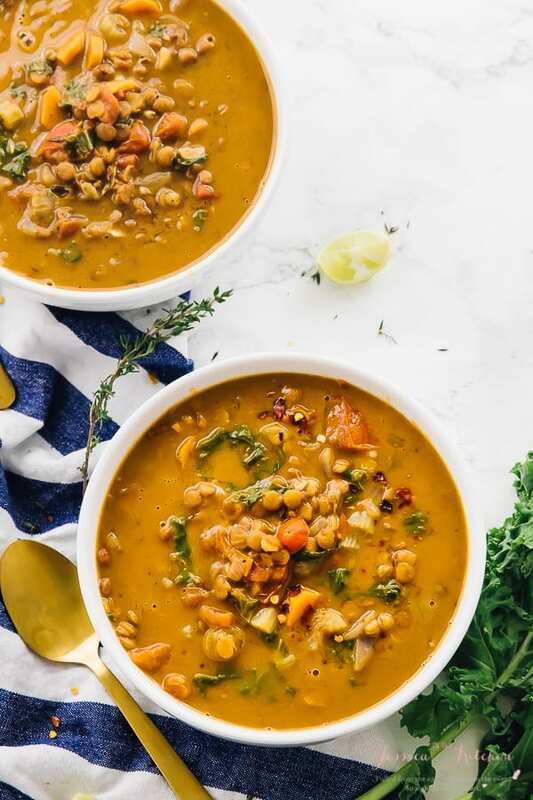 It’s creamy and the roasted garlic gives it an amazing flavour and aroma! 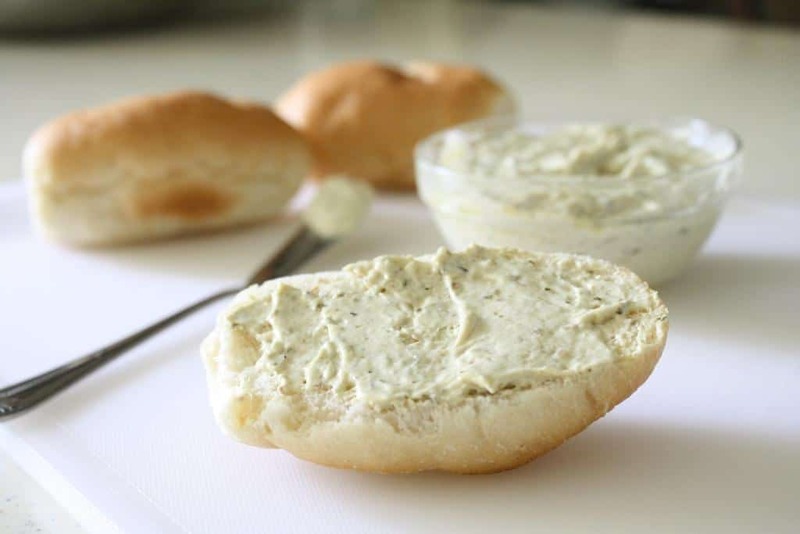 Pesto Cream Cheese Spread – This spread is perfect for parties and is creamy, easy and delicious! 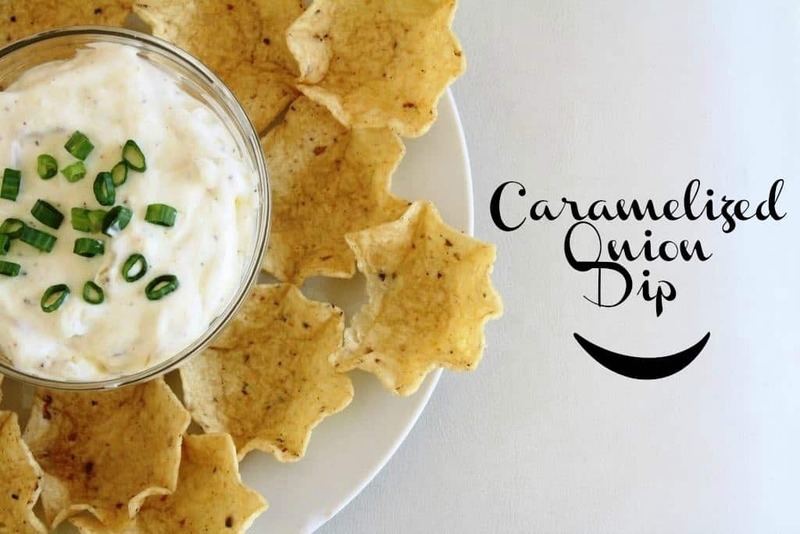 Caramelized Onion Dip – This dip is amazing with the flavour of caramelized onions that’ll make you go back for more. 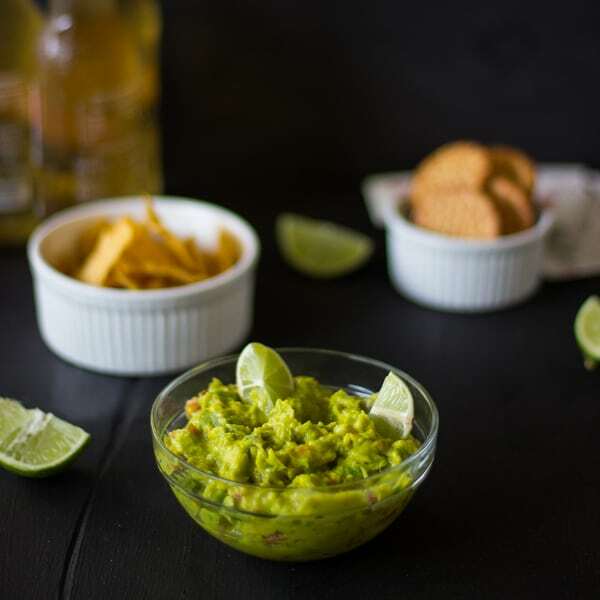 Spicy Guacamole – This spicy dip is perfect for all party occasions and goes with all snacks! 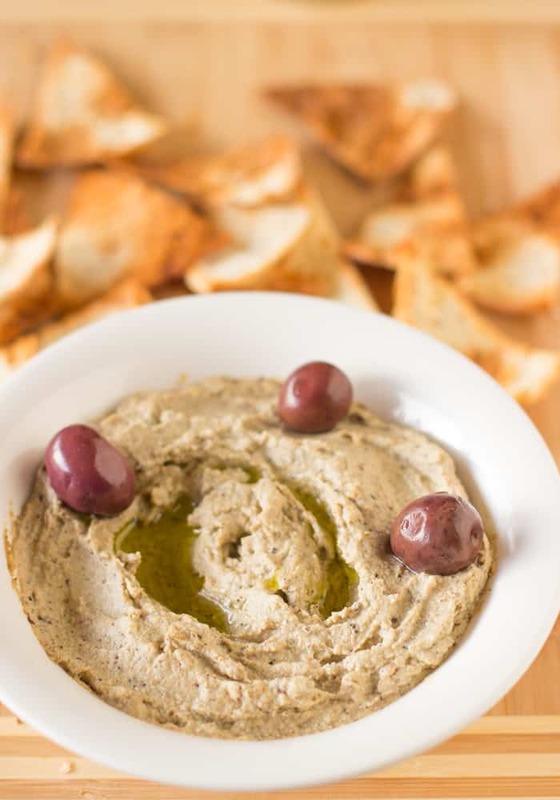 Baba Ghanoush –Baba Ghanoush is a creamy, classic Mediterranean eggplant dip that with a touch of sweetness makes a crowd pleaser! 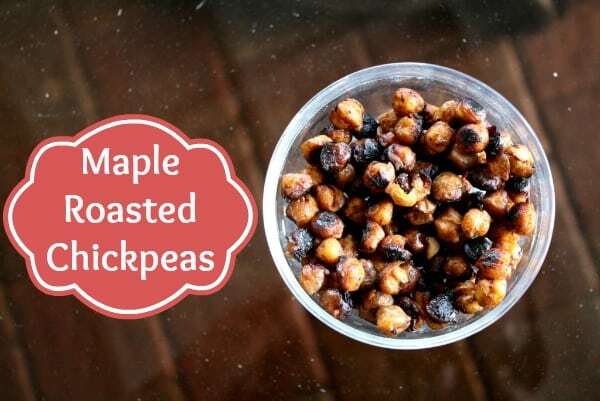 Maple Roasted Chickpeas – These chickpeas are perfect replacement for nuts and have a deliciously sweet and smoky flavour. 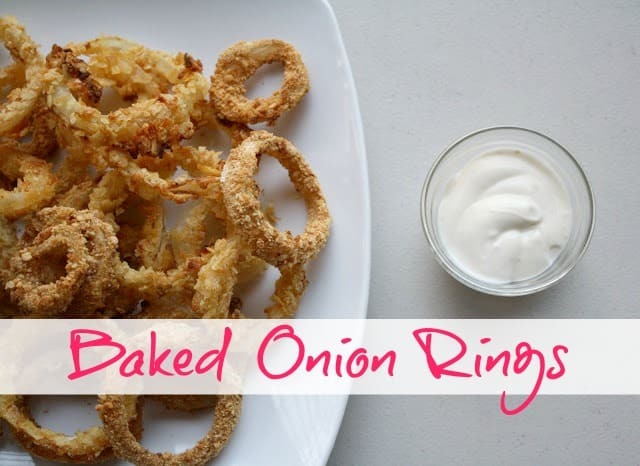 Baked Onion Rings – These onion rings are so easy to make and are so crispy and flavourful. 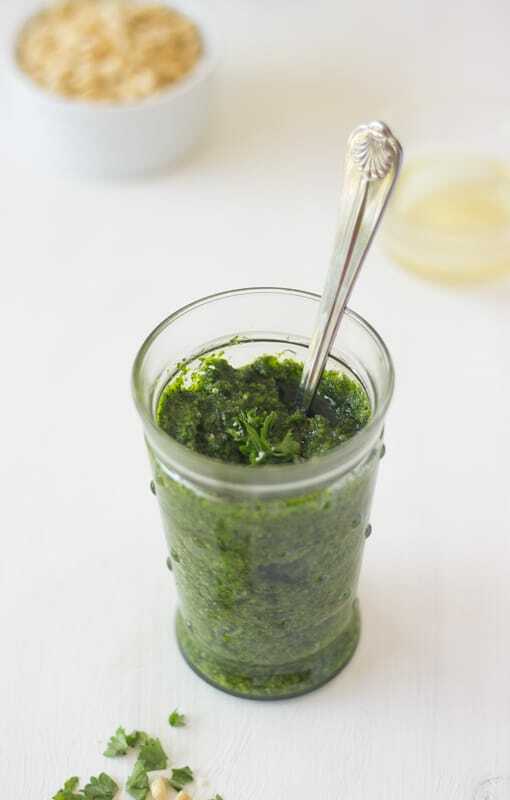 Parsley Pesto – This parsley pesto not only offers a gorgeous colour but is fresh, flavourful, and only takes 7 minutes to make. 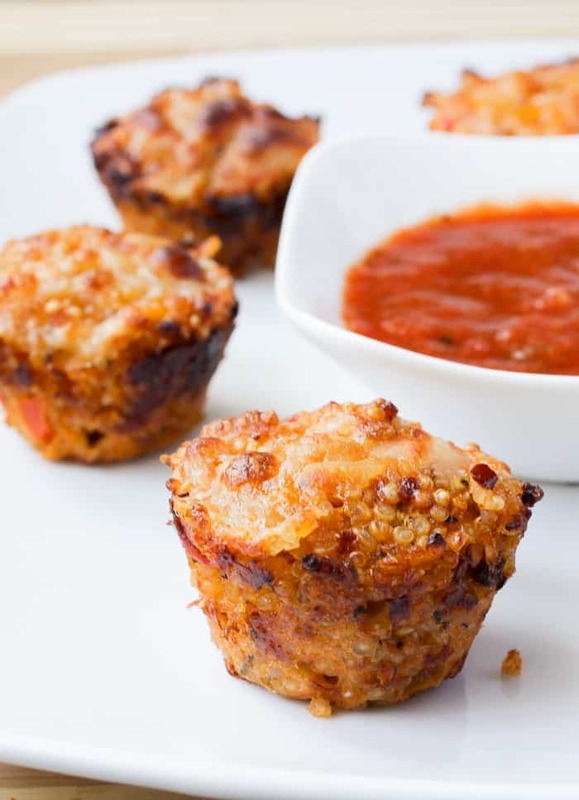 Quinoa Pizza Bites – Easy Quinoa Pizza Bites are like mini delicious and healthy pizzas. 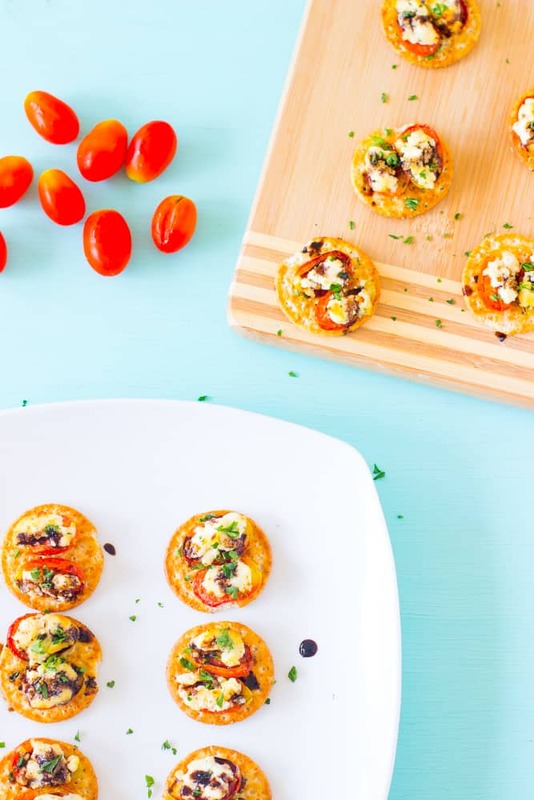 Roasted Tomatoes, Feta and Goat Cheese Bites – Roasted Tomatoes, Feta and Goat Cheese Bites are both kid and adult approved for an after-school snack or afternoon snack that takes less than 30 minutes to make! Damn this is an amazing round up Jessica! I could eat these ALL! I loved reading along your 2014 adventures! What a tremendous year. You doing lot’s of great staff. Thanks so much Jennifer! Happy New Year! 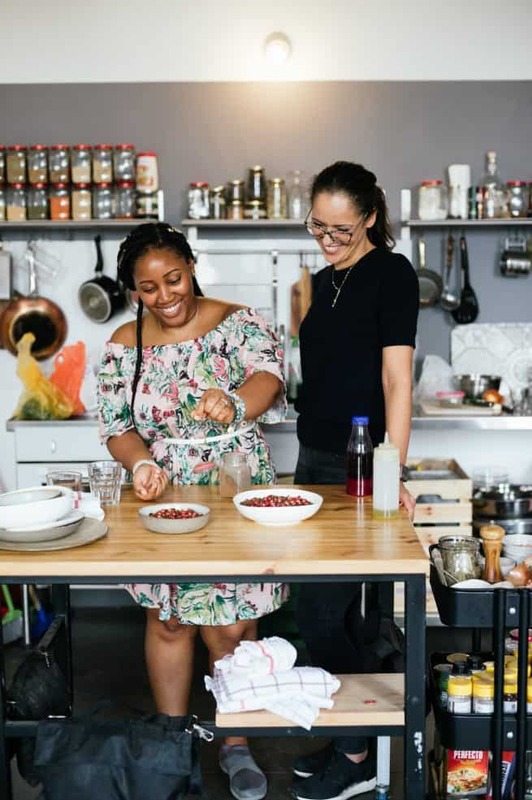 These are all mouth-wateringly good, Jessica … I’m especially craving those beet chips and cauliflower bites. Mmm … have I got time to fly over to your party this year?